You’re preoccupied with your feet. Do you have a collection of orthopedic insoles? Does the thought of plantar fasciitis frighten you more than any of our presidential candidates? Do you do toe lifts while watching TV? Have you stocked up on kinesiology tape? Exactly how many pairs of hiking shoes and trail runners do you own? Have your food shopping habits changed? Have grocery stores become a wonderland filled with heretofore unnoticed items — tiny packets of peanut butter, single-serve doses of honey, gourmet beef jerky and almost weightless freeze-dried cheese? Do you spend hours in the nut aisle anguishing over the options? 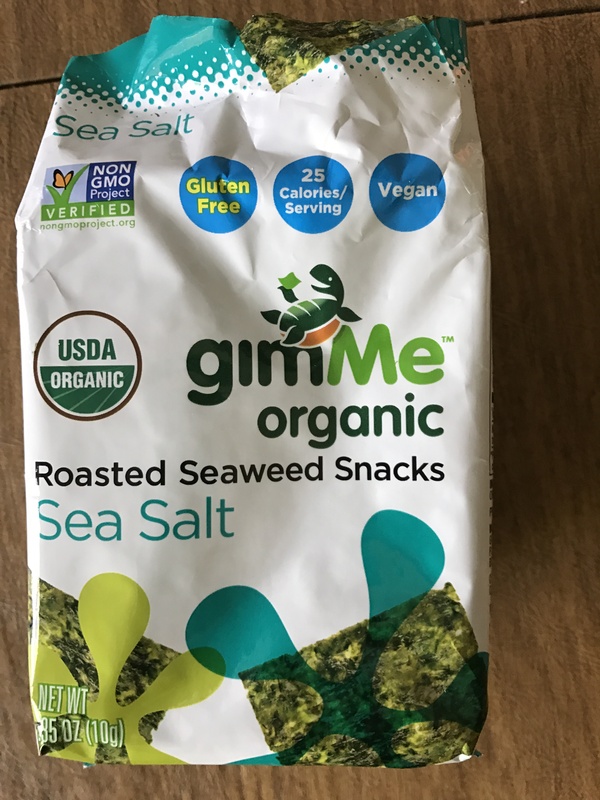 Do you leave the store with a quirky assortment of foods such as organic roasted seaweed snacks simply because they’re so lightweight? Or (red alert!) have you begun eating out of freezer bags? Do you weigh your clothes? Do you time how long it takes them to dry? Do you find yourself pondering whether your socks might double as mittens, or giving considerable thought to whether you need two pairs of underwear on your hike or three? 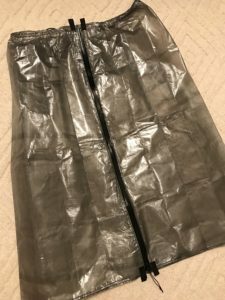 Does the idea of wearing a rain kilt thrill you, the possibility of saving a few ounces by dressing in a garbage bag filling you with outright glee? Do you spend every free moment online, searching hiking forums for nuggets of wisdom and poring over gear reviews? While the world worries about current events, are you lost in the happy oblivion of food drops and whoopie slings, underquilts and bear bag hanging techniques? Are you in awe of people who make stoves out of soda cans? Does the idea of crafting a pot cozy from a reflective windshield cover seem like the height of cleverness to you? And finally, have you bored your friends and family into a catatonic state with your endless discussions about hiking gear? Do they scurry away like startled cockroaches every time you come near? Do you find yourself bemused by their lack of enthusiasm when you explain the pros and cons of hammocks versus tents or pontificate on water purification techniques? If you answered yes to any of these questions, you might be descending into thru-hiking madness and losing your grip on the outside world. But don’t worry. You’re not alone. You’ll find plenty of kindred spirits on the nearest trail. I know I’ll definitely see you there! Hi Gail. I hope to start my sobo flip flop at HF WVA 3/1/17. Turning 66 on the hike, so far never spent a whole night camping off my property. But hobbled a full marathon a few years ago 3 months post-surgery on a completely torn left Achilles and 3 weeks post-break right 1st metatarsal so I hope I have that mental toughness of which you write. Currently backpacking across Cambodia (hostel to hostel) with AT weight backpack, I’ve surely enjoyed the planning and prep. At 6’3 and 235, I’m looking forward to getting back under 200 on the trail. Good luck to you! Hi Lawnchair! You will be about a month ahead of us. We plan to leave from Harper’s Ferry in early April. We live really close by (Hagerstown, MD), so be sure to keep us posted on your schedule. It would be fun to see you and say hi!!!! Your hike across Cambodia sounds exciting, by the way. It must be such an exotic place. It sounds as if you are getting some great hiking prep in. We have been limited to day hikes on the AT around here so far. Once we get our hammocks, we’ll try to do a few multi-day hikes as well. Even so, I doubt we’ll have much in the way of skills or conditioning when we start off. I just hope our old bodies can take the abuse!!!! By the way, how are you doing the SOBO flip flop? We are going to do the NOBO version: hike from Harper’s Ferry to Maine, fly home for a week (since we live right near HF), and then hike from Harper’s Ferry to Georgia. I hope your plantar fasciitis rehabilitation is going well, Gail! It sounds like you’re diligently doing all the recommended things. I’m avoiding going to the doctor about shoulder and hip issues because they don’t seem to bother me on the trail and I’m hoping they will resolve themselves once I’m not sitting at a desk all day. This may be a very bad strategy, but I don’t even want to think about how expensive an MRI would be with my current insurance. It sounds like those seaweed snacks were not up your alley, but I eat them all the time in my everyday life and have been trying to strategize how to pack some since the packaging they come in is so bulky but they’re very fragile and I don’t want them to turn into a mess of crumbs. And then there’s the question of whether they’re calorie-dense enough to be worth bringing, which they’re probably not, but they are a good salty snack to help with hydration… Yep, I’ve got the madness. Kate, I like eating seaweed with sushi, but on its own it doesn’t do much for me. I’m thinking of adding it to packets of miso soup for the nutritional value, though. It isn’t calorie dense, but it might provide some good nutrients on the trail. And it wouldn’t matter if it turns to crumbs if it’s in soup. I totally understand your aversion to seeing the doctor. I do NOT want anyone to tell me to abandon this hike. If they do, I won’t listen. I’m too committed now. And your problems very well could go away on the trail. I have arthritis in my hips, and they don’t hurt at all since I’ve been hiking on the weekends. All that rock hopping must be good for them because they feel better than they have in years. As far as the plantar fasciitis goes, I’m doing everything I can to resolve it. I’m experimenting with more supportive shoes and various insoles. 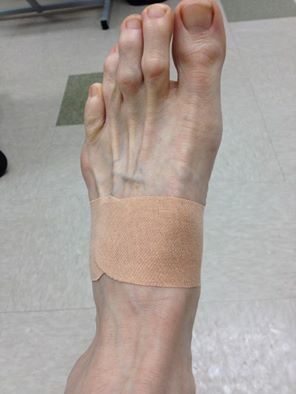 I’m seeing a podiatrist and two physical therapists (one for the Graston technique, the other for ART and ultrasound), doing exercises for my feet and hips, taping the arches, and stretching like mad. I might get custom insoles, too. I also spend a lot of time standing on one leg and working on my balance since the PT thinks the problem is due to a loss of strength in my core and hips. If none of this helps, I’ll just have to hike with pain! 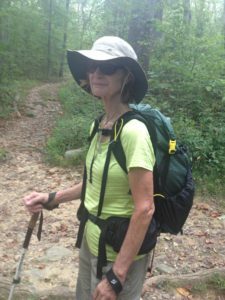 Please consider joining the Appalachian Trail: Women’s Group on facebook! I’d love for you to shared this in our group. Plus we have a whole bunch of women prepping for 2017 thru’s! Thanks, Bunny! I didn’t realize there was a women’s group. I’ll join it right away!